A play reading requires a bit more work from an audience then typical play going. With actors sitting facing scripts, relying only on their voices and facial expressions to convey emotion, a narrator offering simple plot points like location, characters exiting and entering or indicating when someone picks up a bottle of beer etc., a reading series like Between Us Productions, Notes Between Us is a unique experience and one I can say I was happy to have had last Saturday night. A talented group worked through four one-acts this night: Anna Stefanic, Eric Chase and Chris Barber in Arthur M. Jolly’s “Almost Christmas,” secrets and ‘social experiments’ revealed on a Christmas eve; “Protocol” with Cheri Paige Fogelman and Charissa Bertels in a jaunty take on a repellant idea (Fogelman with the meatier roll prompted a good amount of yucks from the audience); Eddie Zipperer’s “Melting” featured Casey Bartolucci in a fun upper-crust British accent, this time Bartolucci as his put-up on companion and Stefanic as the crafty ‘cool’ old sun; and the best of the night for me “Inalienable Rights,” a broad-sided satire once again showcasing the chops of the group…especially Chris Barber (especially funny), Eric Chase and again Fogelman. 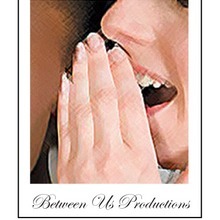 A rather talented bunch these seven, a great solid quartet of one-acts, economic direction by the two super friendly creative founders of Between Us Productions, Samantha Lee Manas and Jasmine Brown, you’d do yourself a favor getting out to see whatever this groups puts up.